Mary Bridget Davies stars in her Tony-nominated performance as Janis Joplin in the La Mirada Theatre for the Performing Arts & McCoy Rigby Entertainment Production‘s A Night with Janis Joplin. A Night with Janis Joplin features a healthy selection of Joplin hits—especially those with Big Brother and the Holding Company – as well as songs by such irreplaceable artists as Bessie Smith, Odetta, The Chantels, Nina Simone, and the late Aretha Franklin – the latter icons all interpreted by four additional vocalists in the show, along with a live band and horn section to help recreate a repertoire of blues gems. 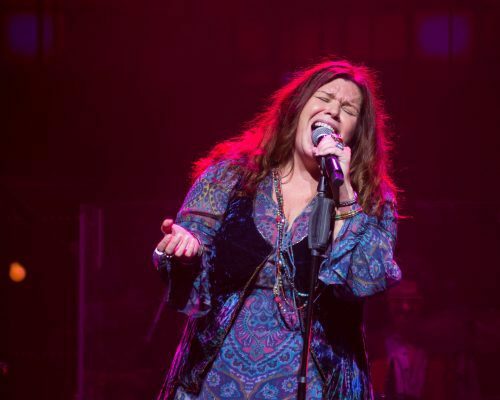 Davies has since received a Tony Award nomination for Best Lead Actress in a Musical for her performance as Joplin in A Night with Janis Joplin at the Lyceum Theatre on Broadway in 2014, as well as winning the Theater World Awards and Theater World Awards for that year. 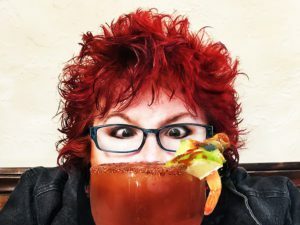 Davis’ band, The Mary Bridget Davies Group, released their album “Wanna Feel Somethin” in 2012, where she is currently working on writing songs for their next album. A Night with Janis Joplin opens Friday, September 21, 2018, and runs through October 7, 2018, at The La Mirada Theatre for the Performing Arts. Visit their website for showtimes and tickets.